The art community this week mourns the passing of eminent goldsmith Manfred Bischoff. Bischoff was born and trained in Germany and spent the latter part of his life in Tuscany. His jewellery is steeped in classical goldsmithing traditions and charged with a fascination with language. He died on Monday, aged 67. 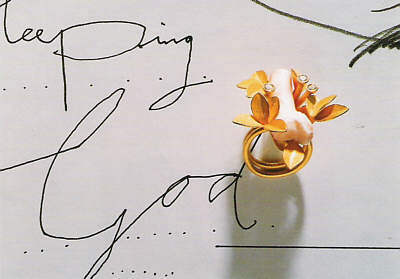 Image: Sleeping God ring, 1998, courtesy of Helen Drutt, Philadelphia.